Before You Arrive Sign up for a Sam's Club Membership if you don't already have one by visting the Member Service page. Upgrade your existing iPhone to the latest iOS release. Just connect your iPhone to your Mac or PC and follow the onscreen instructions in iTunes. Back up the data on your existing iPhone to iCloud or your computer. For instructions on how to back up your iPhone, read this Support page. Create a new Apple ID if you don't already have one by visiting the Apple ID page. What To Bring With You Your old mobile phone, if you're replacing it. Social Security number of the primary account holder. Valid government-issued photo ID. Carrier account password, if you have one. Your Sam's Club Membership. Your Apple ID and password. 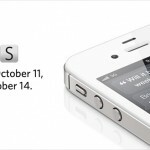 If you haven't already preordered your iPhone 4S, here is yet another way of doing so. Good luck!